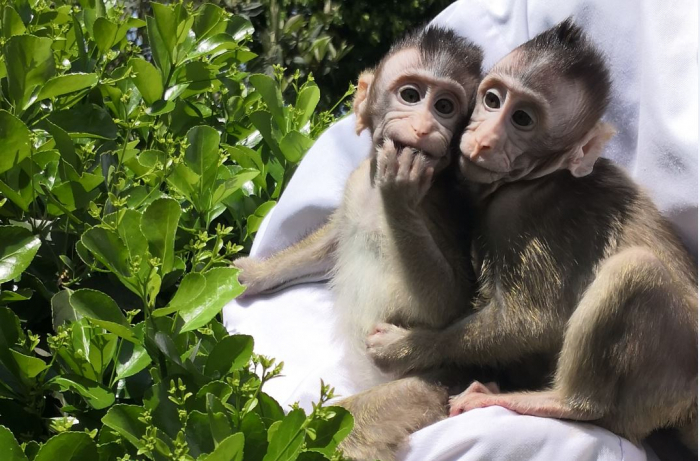 A group of monkeys were found to have “human-like” brain development, including faster reactions and better memories, after a joint Sino-American team of researchers spliced a human gene into their genetic makeup. Researchers from the Kunming Institute of Zoology at the Chinese Academy of Sciences (CAS), and the University of North Carolina in the United States modified the genes of 11 monkeys (eight first-generation and three second-generation) with the addition of copies of the human gene MCPH1. Microcephalin (MCPH1) is a key factor in our brain development and, in particular, eventual brain size. Mutations in the gene can lead to the developmental disorder microcephaly, which is characterized by a tiny brain. The researchers then used brain imaging and tissue sampling techniques to monitor the development of the transgenic monkeys’ brains. Their findings showed an altered pattern of cell differentiation by neural stem cells into neurons and glial cells (both critical components of the central nervous system), more closely associated with humans as opposed to monkeys. The monkeys’ brains also developed at a slower rate than normal in a similar pattern to developmental delay in humans (known as neoteny). Human brains take far longer to develop and refine their neural networks more than primates’ do, meaning we display a protracted childhood relative to our primate cousins. The human gene-enhanced monkeys showed better short-term memory and quicker reaction times compared to the wild rhesus monkeys in the control group. While only the first step in this specific realm of transgenic neurodevelopment research, it could pave the way for significant research into neurodegenerative and social behavior disorders in humans.